You can develop Buchecha's devastating arsenal of half guard attacks. It’s time to make your half guard a weapon. 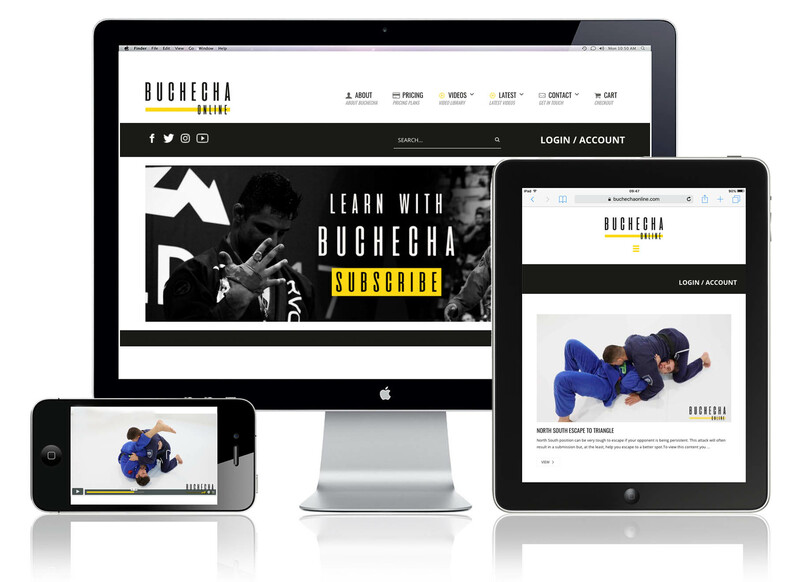 As a Buchecha Online member, you’ll gain instant access to Buchecha’s half guard curriculum, as well as his full library of techniques: 300+ videos and 24+ hours of content! (Annual payment represents a substantial saving on monthly subscription rate. Subscription expires after 12 months. No automatic renewal). (Payments taken monthly, with no contract required. Users can cancel their membership at any time from within their account). It's time to kick start your learning with one of the greatest jiu jitsu athletes of this generation. Gain access to all of Buchecha's techniques, tips and sparring sessions. Lucas Leite has arguably the most unique half guard game in the world. He gets his sweeps to work on everyone, no matter how big or small, so we hope you enjoy his techniques! “Buchecha has been an amazing student who has committed himself to jiu jitsu. He has worked very hard to develop a game that means he is very dangerous from any position, and submissions can come from anywhere." “I’ve trained with Buchecha for a long time and he’s easily one of the best fighters in the world. He has a great understanding of the jiu jitsu game and you can learn a lot from studying his approach." "In my eyes, Buchecha is one of the most special athletes of our generation and will go down as one of the greatest athletes ever; just like Marcelo , Jacare, Leozinho, Rafa, Roger and Terere." Our members will receive never-before-seen access to Buchecha’s game, gaining insight into what made him such a dominant grappler. But, don't take our word for it, hear from people in the know! Study the 11x World Champion's game at your own pace on smartphone, tablet or desktop.